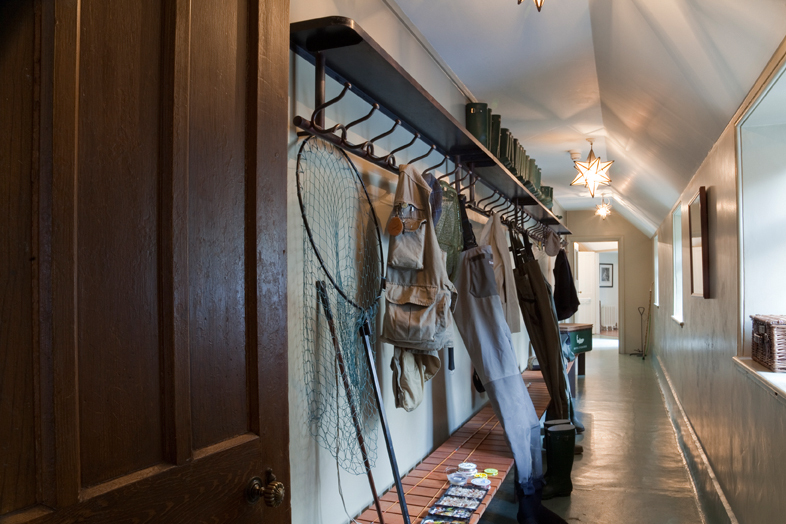 Take long walks through the grounds, there’s a corridor stocked with Hunter wellies in every size. You’ve a good chance of spotting kingfishers, otters, falcons and even the occasional deer. There are many hidden follies (The Shell House, The Dairy Dell, Swiss Cottage) to so take our map as your guide. An hour’s walk along the River Tamar gets you to Horsebridge, where you can rest your legs and wet your whistles at The Royal Inn. (01822 870214 royalinn.co.uk). There’s a ping-pong table, croquet hoops, giant jenga and sun loungers on the lawn below the rose walk. The Hardicott Shoot uses the drives around the edge of the estate. A very good pheasant shoot which provides a good range of bird heights in beautiful surroundings. Richard Street is the shoot manager (07973 769123). Back at the house the library table groans under the weight of just-baked scones, quenelles of clotted cream and strawberry jam, cakes and finger sandwiches. It’s the highlight of everyday. The wood-panelled drawing room has log fires and a library of books. Tavistock is about fifteen minutes away from the hotel and is a lovely little market town on the edge of the moors. No.13 Ladies Fashions (01822 618188 no13tavistock.co.uk), Country Cheeses (01822 615035 countrycheeses.co.uk) and the Cornish Arms (01822 612145 thecornisharmstavistock.co.uk) are all worth a visit. The are weekly art and farmers markets are especially good for present shopping. Fifteen minutes in the other direction is Coombeshead Farm. An idyllic farmhouse close to Launceston. Tom Adams (Pitt Cue London) and April Bloomfield (The Spotted Pig New York) run the restaurant together with a strong porcine theme. It wonderfully showcases what can be achieved when farmer, grower and cook work side by side (01566 782 009 coombesheadfarm.co.uk). 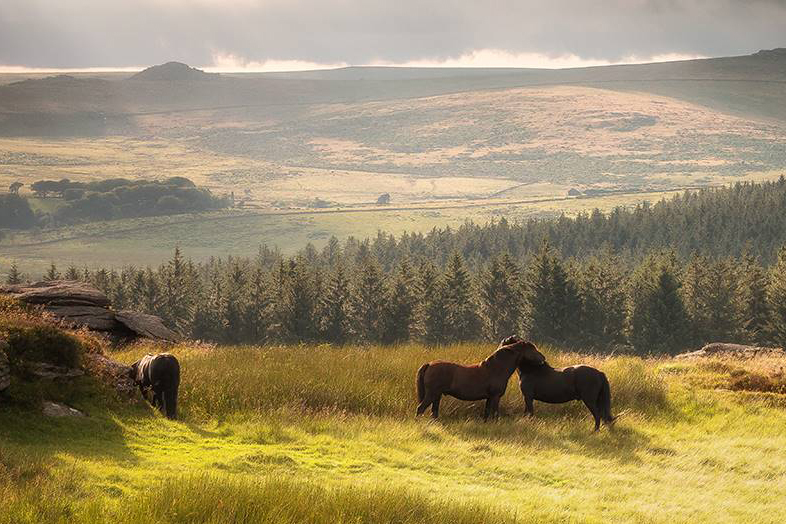 Dartmoor National Park is the largest and wildest area of open country in the south of England, with ancient woodland, high granite tors and vast tracts of rolling moorland. Visit in spring to see lambs gambolling and hedgerows full of wild flowers, while summer invites lazy days picnicking and swimming in cool, clear rivers. Our favorite walk is Lydford Gorge (nationaltrust.org.uk/lydford-gorge). Follow a bubbling Dartmoor stream along a green ravine to thrilling waterfalls and whirlpools. Stretching for 1½ miles, the steep-sided Lydford Gorge is a spectacular chasm in the hills. At one end lies the impressive Devil’s Cauldron whirlpool, while the 100ft high White Lady waterfall is at the other. The full walk through the gorge is around three miles and can take anything up to about two hours. But be warned: the terrain is treacherous in places, with several steep inclines and narrow, sometimes slippery paths. Walking boots are essential. However, for an easier walk and for superb views down into the gorge, take the winding upper path. If you head along the upper path, you arrive at a fork in the track. You can either take the gentle winding route down to the riverside, or take the quick route, down 220 steep steps. Either route eventually leads to the bottom of the gorge where the River Lyd crashes and flows in spectacular fashion. 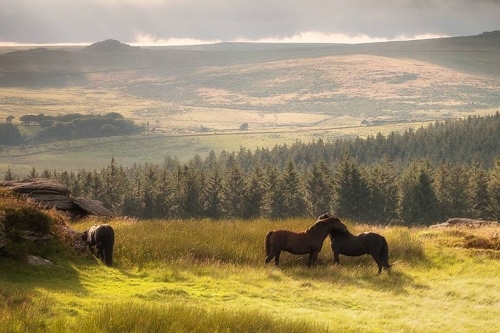 If you love horse riding our fancy giving it a go, Liberty Trails (01822 851 463 liberty-trails.com) organise guided horse rides through the stunning locations used by Steven Spielberg during the filming of War Horse. Depending on the time of year, you might also be able to join hill farmers as they muster their cattle across the moor. Inspired the film ‘We Bought a Zoo’ starring Matt Damon and Scarlett Johansson. The North Cornish coast is about an hour’s drive and has beautiful beaches and the country’s best seafood restaurants. Rick Stein’s flagship Seafood Restaurant (01841 532700 rickstein.com/the-seafood-restaurant) is renowned for serving up the freshest fish and shellfish, most of which has landed right on the doorstep of the restaurant in Padstow. Make sure you book ahead, but if you do go last-minute, Prawn on the Lawn (01841 532223 prawnonthelawn.com) is a tiled and blackboarded temple to the piscine with charm by the bucket and spadeful. Expect Seared Tuna with soy, mirin, spring onion & chilli and Whole Padstow brown crab. The Camel Trail is a celebrated cycle trail that is mainly flat and traffic-free. Meander through woodland, explore disused rail stations and stop to take in far-stretching sea views. Padstow to Wadebridge is a popular and manageable route at approximately five miles. The trail helpfully terminates in Padstow at the National Lobster Hatchery (01841 533877 nationallobsterhatchery.co.uk). It’s a marine conservation charity helping to highlight the importance of lobsters. The highlight of the tour is observing the baby lobsters getting ready to be released back into the water, as well as a meeting with the resident giant lobster. Since its completion way back in 1592, the exquisite Elizabethan manor known as Prideaux Place has been the home to the same family. The short walk from Padstow harbour is more than worth the extra leg work to see a remarkable piece of history, excellently maintained and set in the most glorious of gardens. Open Easter to October (01841 532411 prideauxplace.co.uk). 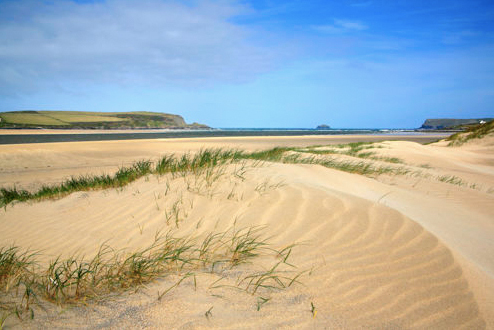 Considered one of the best family beaches in Cornwall, just west of Padstow.